Do you put off visiting the dentist because you are worried or simply hate the whole process? Is there a particular aspect of a dental appointment that you really cannot stand? Is there a particular treatment planned that you feel will be a real challenge? Many people can be anxious when it comes to visiting the dentist. Studies show that up to 45% of adults in the UK admit that fear is the reason why they do not see their dentist regularly, and it is estimated that 15% of them are severely anxious (phobic). It can be difficult admitting these concerns. Some people may not understand and may even mock phobias. They simply cannot imagine just how much some people can be affected by anxiety when it comes to dentistry. They don’t realise that it can lead to severe worry, sleeplessness and sometimes stronger physical reactions, such as feeling faint or nauseous. But avoiding dental care can lead to chronic pain or discomfort, bad breath, and simply being too ashamed to smile, which can seriously affect your quality of life. If you, or someone you know, is anxious about dentistry then we would like to help! Silvercourt Dental Practice Team has established an excellent reputation for helping nervous patients rebuild their confidence, and even to enjoy visiting our practice – something that before would have seemed impossible. We take pride in our gentle and caring approach and will do our utmost to help you feel relaxed and at ease. Helping to boost your dental confidence makes our work worthwhile and often our anxious patients become our biggest fans! 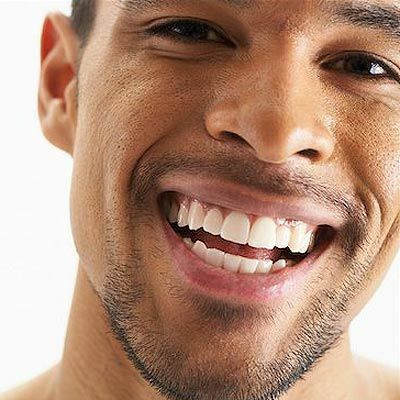 In time, fears are conquered and regular preventive dental care is all that is required to maintain a healthy smile instead of repeatedly facing challenging emergency treatments. We realise that making the first approach to a dental practice is a big step for anxious patients. Our reception team provides all our patients with a warm and friendly welcome. They can assist you with information and reassurance, and when you are ready, will book an appointment for you. You are always very welcome to bring a friend or relative with you. We like to devote the first visit to listening to your needs and discovering how we can help. Talking away from a clinical area is much less daunting, and so we set aside time to chat with you in our comfortable and friendly consultation room. Our dental health nurse and dentist will take time to understand your particular concerns, and discuss with you the best way forward, offering you choices for any treatment that may be required. The atmosphere and kindness within the practice helps build your confidence. We’ll book further appointments starting with any simpler treatments first and take one step at a time. Modern techniques and a sympathetic way will ensure each visit is better than expected. Many people, anxious or not, dislike having injections and so we work hard at making these as painless and effective as possible. We want you to be in control, and ask you to raise your hand whenever you wish to rest. By describing what to expect before each stage there are no surprises and it’s usually best not to hurry. From experience, trust will quickly build between us and your fears will lessen. There are various steps you can take to make a dental visit easier on you. The most important one is to keep an open mind. However unlikely you think it is, we can help you and will take good care of you if you let us. Make sure we know that you are anxious so we can treat you accordingly, and so we can make allowances for any effect it has on your personality – even the nicest people can appear rude or aggressive when they are worried! Book your appointments for a time of day when you feel at your best and do not have any other commitments to worry about. Allow plenty of time to travel to us and back home again so you arrive in a relaxed state of mind – arriving in a rush or leaving little time after the appointment will only make you feel more anxious. Have a light meal or snack before visiting – anxiety can lower your blood sugar levels, making you feel faint. Bring a friend or relative with you for extra reassurance. Try to distract yourself during treatment. Set yourself a puzzle, plan your next holiday or remember your last one – it doesn’t have to be anything too complicated, just something that will stop you from thinking too deeply about dentistry. Control your breathing too – take long deep breaths through your nose. This will help you relax, and suppress the need to constantly swallow during treatment. Finally, congratulate yourself afterwards, and maybe even give yourself a small treat such as a new magazine, an hour in the garden or a pint at the pub– whatever makes you feel good. We appreciate that sometimes, despite dentistry being more comfortable than ever before, you may still feel you need an extra helping hand to get through an appointment or procedure. That’s fine. Our sedation therapies can give you that extra help. We offer both oral and intravenous sedation, both of which make you feel pleasantly relaxed and calm throughout a treatment. Time will seem to pass more quickly and you will remember less about the treatment afterwards. You can chose which sedation techniques, oral or intravenous, suits you best. Oral sedation involves taking medicine either in tablet or syrup form, while intravenous sedation means having an injection in the arm. The intravenous method is the more predictable, more powerful and the quickest acting of the two. With both methods you will still be conscious and will maintain enough control to be able to speak with the dental team and to rinse your mouth out. A friend or relative will need to come with you to sedation appointments and you will need to avoid driving or being in a position of responsibility afterwards. If you would like to know more about sedation therapy, please talk with us, we’ll be happy to help.